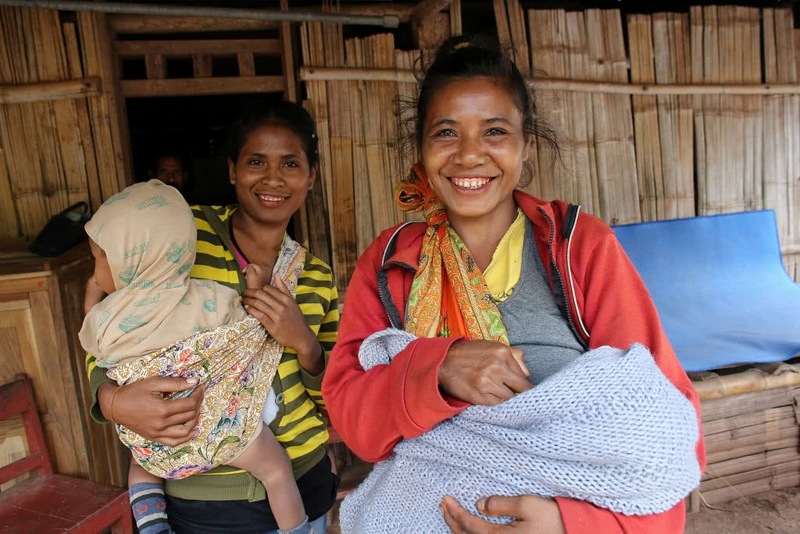 In Timor-Leste – one of Australia’s closest neighbours – more mothers and babies are at risk of dying during pregnancy, childbirth or in the first days of life than almost anywhere else in the Asia-Pacific region. Health services are scarce and the ones that do exist are very basic. 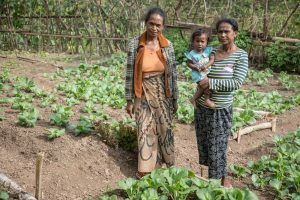 Poor communities in Timor-Leste are facing the serious effects of malnutrition and poor health caused by a lack of nutritious food. This puts mothers and babies at even greater risk. The Safe Motherhood project aims to improve the health and well-being of mothers and babies, and reduce the number of both mothers and babies dying in pregnancy and childbirth. We do this by supporting women to access high-quality health services during pregnancy and for the birth of their children, supporting an effective and responsive local health system and by giving women a voice in negotiating their own healthcare choices, including fertility management. Timor-Leste has one of the highest rates of maternal mortality in the world at 557 per 100,000 live births. This is caused by a lack of quality health services. Most health services are poor and communities can’t access the appropriate maternal healthcare, partially due to their own lack of confidence in the system. In addition, their own personal cultural beliefs and behaviours influence their choices. Because of the region’s remoteness, most women have no access to health facilities where they can safely deliver their babies. In rural and remote areas such as Ermera, one of the municipalities in which CARE works, only 15% of women deliver in a health facility and the remainder give birth at home without help from a skilled birth attendant. 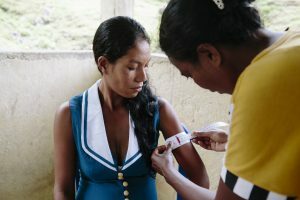 This inadequate access to healthcare also means Timorese women have a 1 in 82 risk of dying during pregnancy, 100 times higher than women in Australia and four times higher than women in Indonesia (1 in 320). And hidden beneath these figures of maternal mortality is a maternal disability. 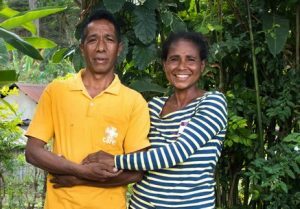 It’s estimated that for every maternal death, an additional twenty Timorese women are disabled following childbirth. CARE is bringing communities and healthcare providers together to overcome the barriers that prevent women and children from receiving the healthcare they need. By connecting doctors, midwives and nurses together with families in the community, both sides learn how to work together to improve the health services that are available. Mothers’ groups bring women together and provide a supportive environment for learning about health and fertility, parenting, nutrition, leadership, and much more. The groups, supported by CARE, meet every month to discuss topics ranging from pregnancy danger signs, birth planning, the importance of skilled birth attendants, family planning and birth spacing. CARE will create a space for men to come together around a common interest – similar to the notion of a men’s shed in Australia – where men will be encouraged to talk about the roles and experiences of men and women. Topics to be covered include how social and cultural norms and behaviours can be helpful or harmful, and how men can support women to join them in making decisions about the family and community. Growing healthy food and improving crop yields is the best way to increase overall nutrition in communities. CARE will provide education on food production, preparation and nutrition. Mothers are offered opportunities to develop new skills like how to grow their own food and generate an income from activities such as selling crops at local markets. CARE has facilitated 43 Mother’s Caring Groups (MCG) with 567 female members. These groups engage women, provide information and raise awareness about pre and postnatal health, and help to change harmful beliefs and practices. As a result, community members have improved knowledge of pregnancy and birth-related related danger signs and safer birth practices. 95% of MCG members created birth preparedness plans with their husbands/in-laws. 41 kitchen gardens have been provided for MCG members. Community cooking demonstrations using produce from the kitchen gardens have helped families better understand diet and nutrition. Access to postnatal checks has increased by 27%. There has been a 13% increase in the use of family planning services (from 28% at the beginning of the project). Access to birth attendants has seen significant improvements and risen from 28% to 47%. Since becoming involved in CARE’s Safe Motherhood program three years ago, 31-year-old Terezina and her family’s lives have changed dramatically. 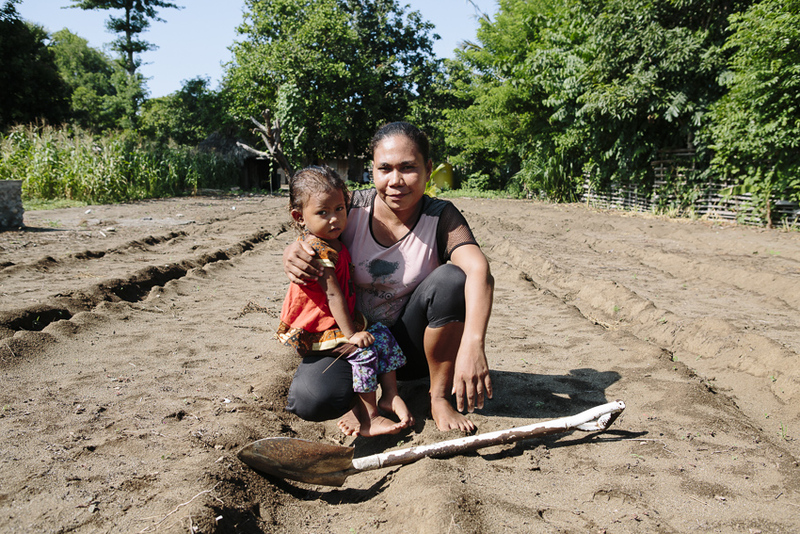 Before CARE came to her village, the mother of four would often limit the amount she and her children ate, and her children were frequently ill.
“I’ve skipped meals to prioritise my children eating. I have a body that can survive skipping a meal, so I would eat a banana instead of a meal,” she says. For Terezina’s family, it was traditional to skip meals. “Before we only had lunch and dinner, but after learning from CARE we know the importance of having breakfast, lunch and dinner and how to divide nutrition for the kids across the meals,” she says. Terezina has also learnt how to run her family’s small farm more efficiently, so she can grow enough food for her family, and has crops to sell. “Before CARE, I had no knowledge about nutrition, about how to organise my farm and kitchen garden,” explains Terezina. “My kids have suffered from quite serious illnesses. They had diarrhoea with bleeding from the bowels.” Terezina has also led her village mothers’ group, a monthly support group for pregnant women. But for Terezina, the most important difference is in her children. CARE Australia is accredited by the Australian Department of Foreign Affairs and Trade (DFAT), responsible for managing the Australian Government’s aid program. 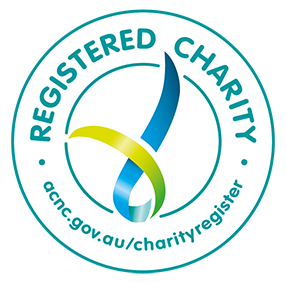 CARE Australia receives support through the Australian NGO Cooperation Program (ANCP).